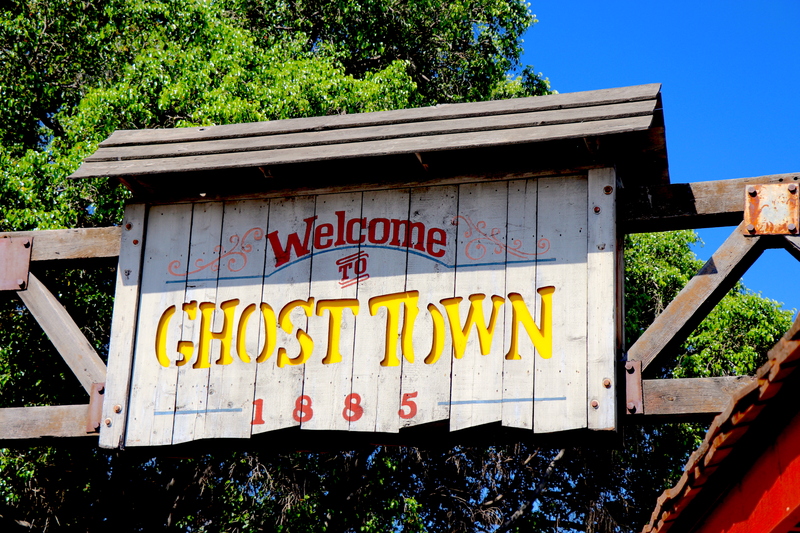 Ghost Town comes ALIVE this Summer at Knott’s Berry Farm! 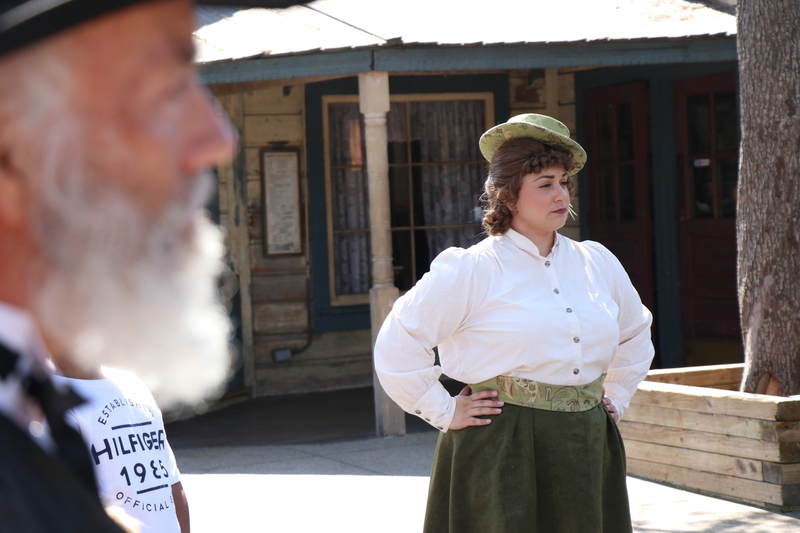 On a very hot summer day, Nikki and I set our sights on Knott’s Berry Farm to enjoy their Ghost Town Alive event. 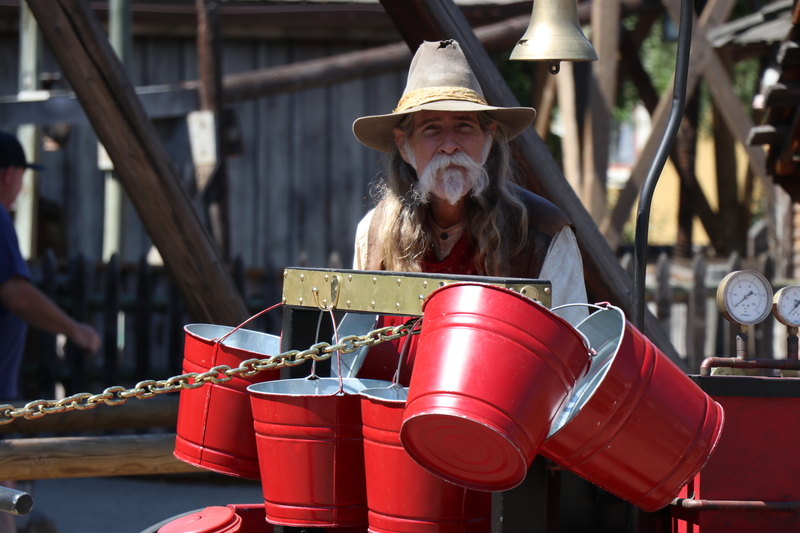 We are huge fans of Knott’s and absolutely love the theming and ambiance of Ghost Town. 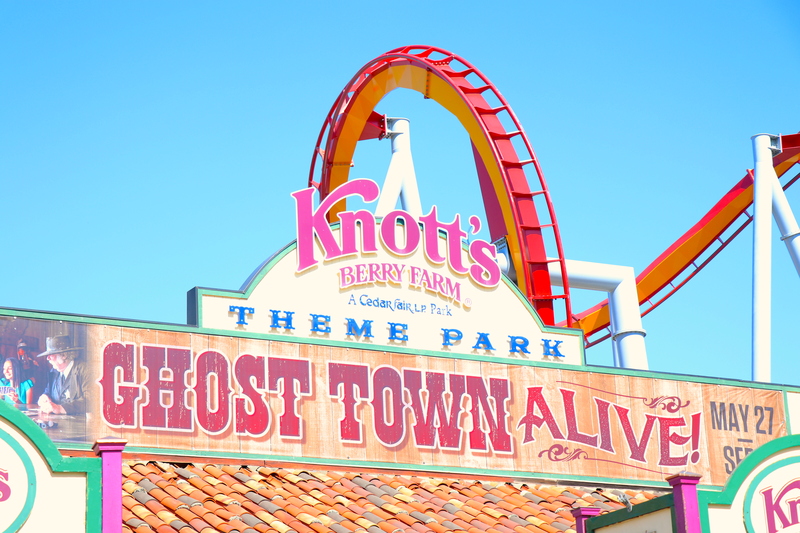 Honestly, it just makes me think of Knott’s Scary Farm Halloween Haunt most of the time. 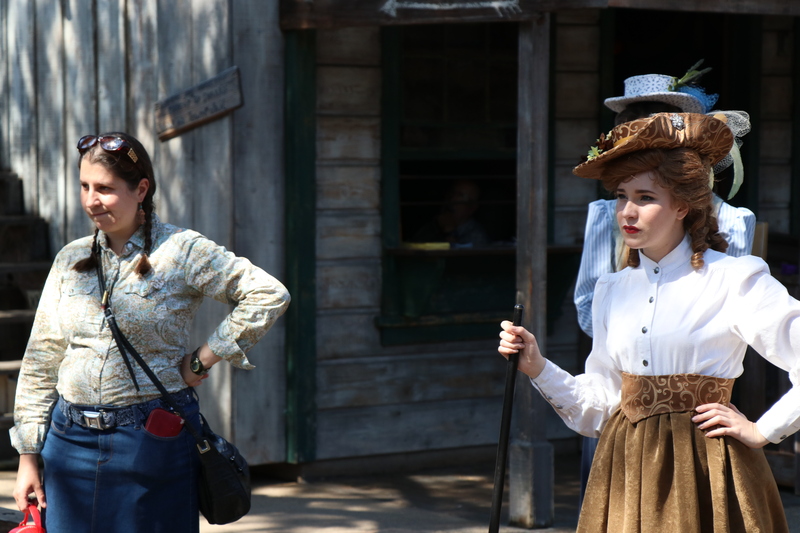 But, during the day and especially during the summer it comes alive with different kinds of characters. 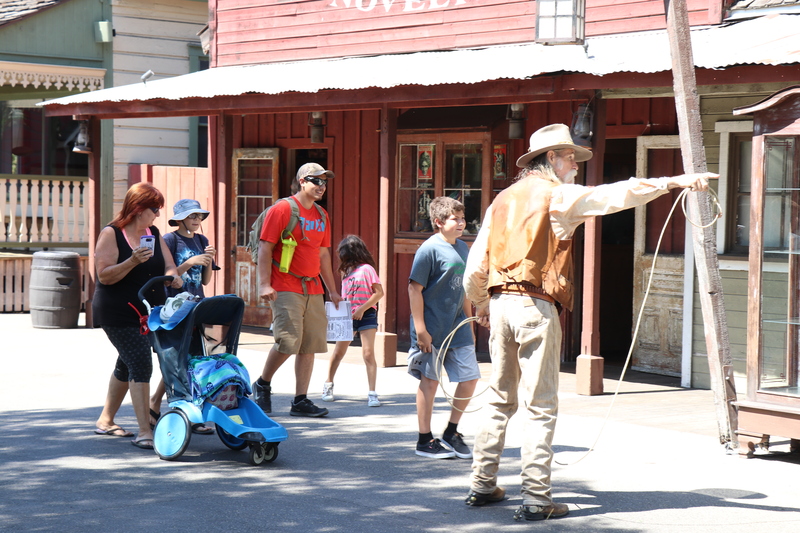 If you are not familiar with this event, Ghost Town Alive invites guests at Knott’s to become a part of the Western fun! 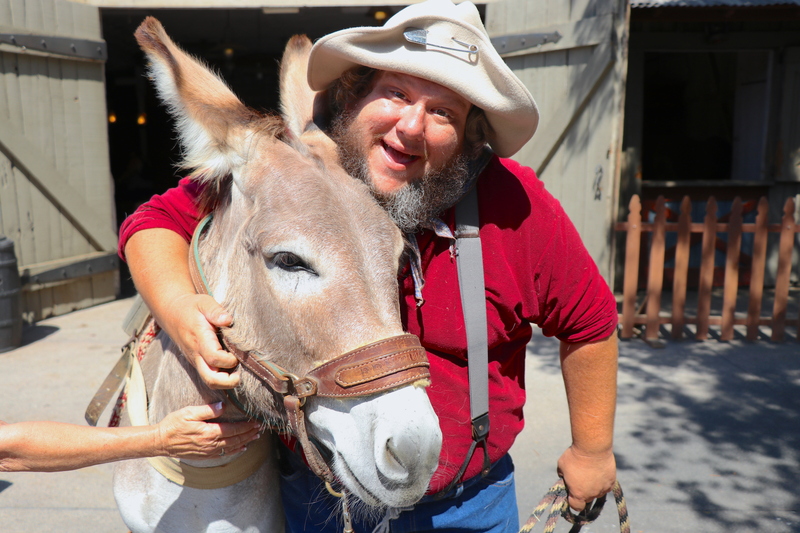 All around Calico, you find fun and silly characters who are inhabitants of the small town. 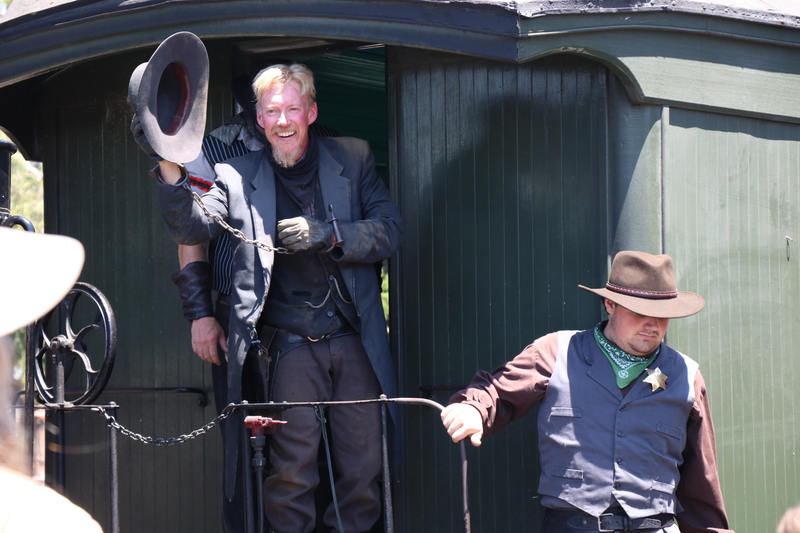 You might even have a run in with the notorious Mayfield Gang as well! 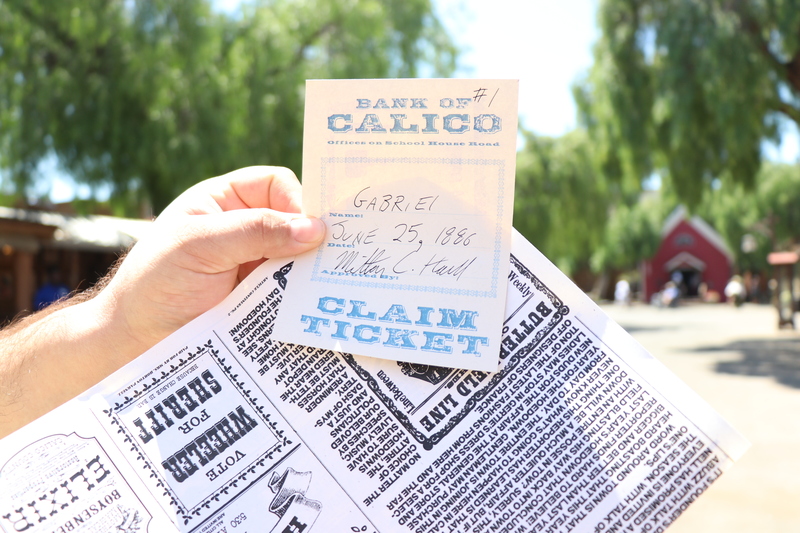 All through Ghost Town you can find jobs, adventures and tasks to help the citizens of Calico. 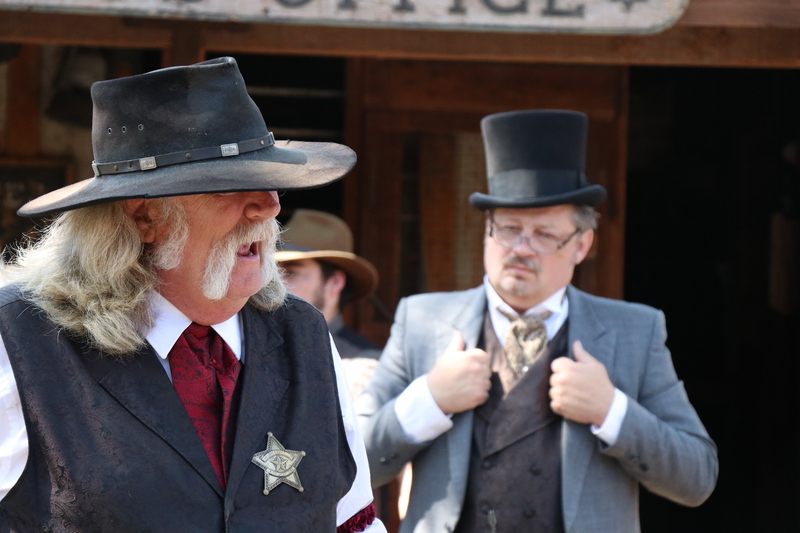 You can imagine this as a much more defined western themed live action role play event. 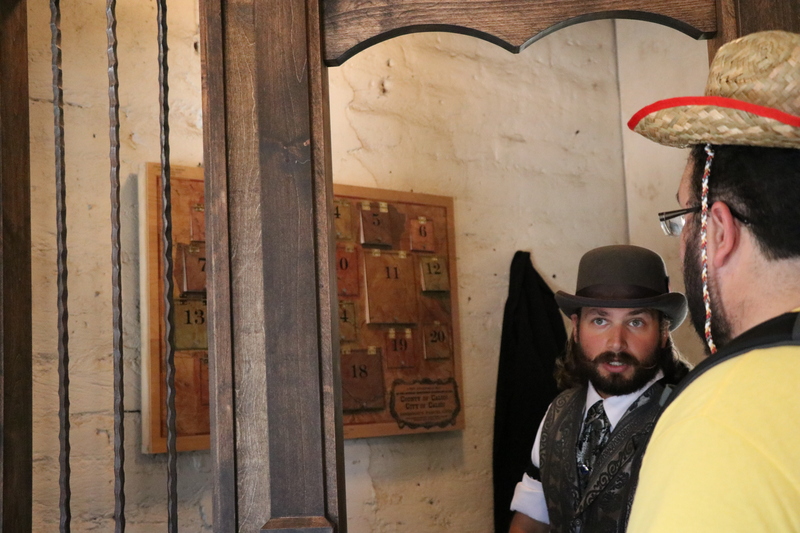 You yourself do not play a character, but you are a guest in the town filled with characters that have stories, background and a place there in Calico. To be 100% honest, we aren’t huge fans of this type of immersion all the time. We can do the immersive haunts like Delusions and hold ourselves well, but this is another level. To constantly be thinking of what to say and to who is a little daunting, especially if you are an introvert. But, all of those worries and concerns melted away as we fell in love with the characters, stories and abundance of tasks we found. 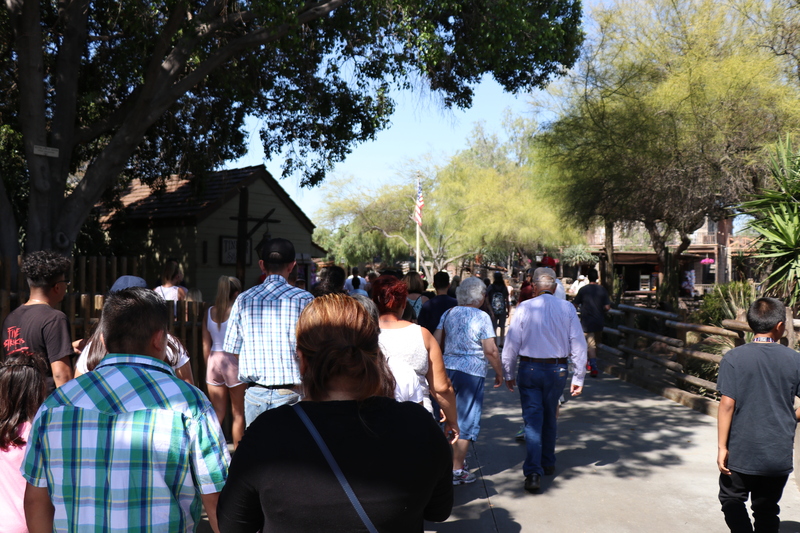 We expected to just spend an hour or so checking everything out, 5 hours later we were walking along side Ike Mayfield as we tried to find a way into the Calico Bank for him and his family to rob it later in the day. 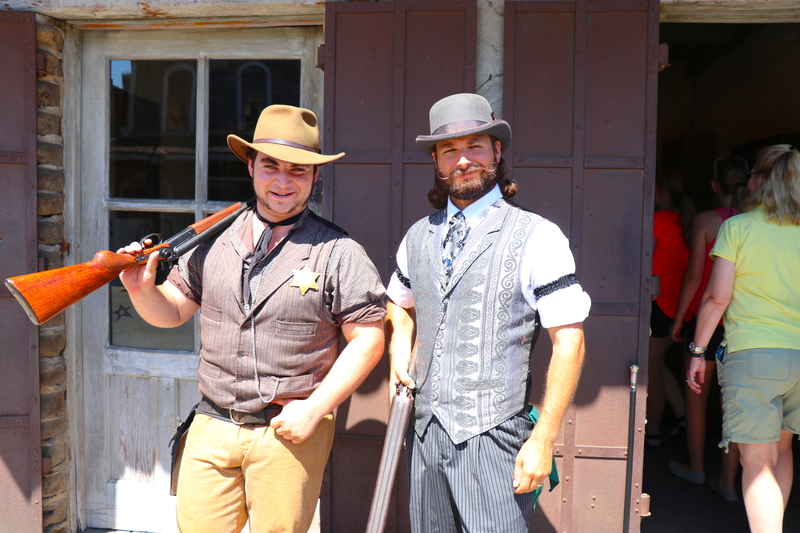 At GTA (Ghost Town Alive NOT Grand Theft Auto! 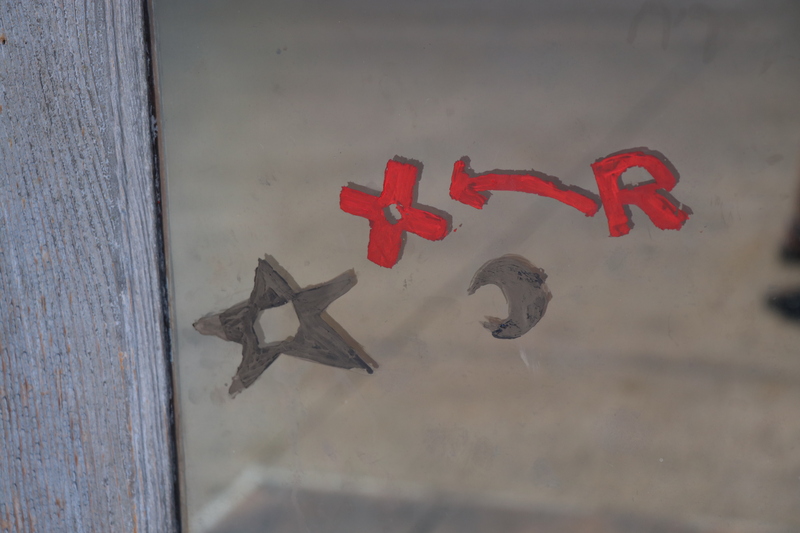 ), it was so easy to integrate yourself into the always changing storyline. I attribute this to the wonderful actors and actresses who bring it all to life. Each person so unique and interesting. Also the writing is superb! 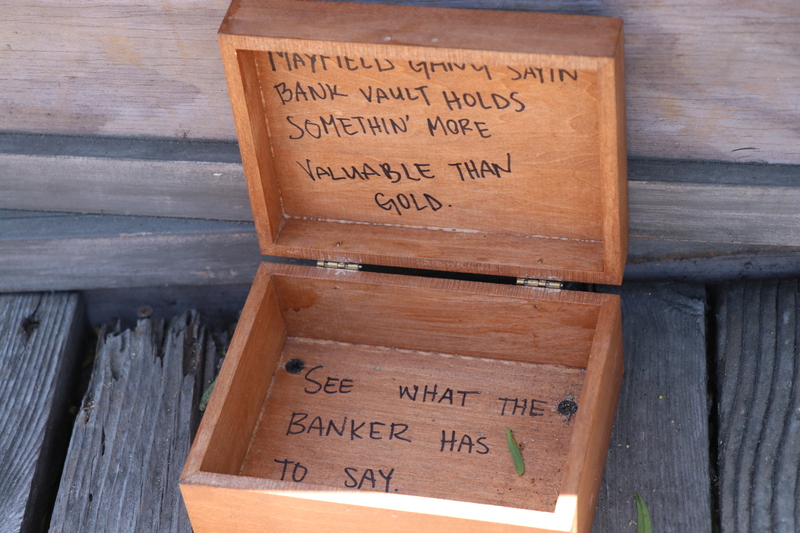 In one particular moment in the day, I found myself in the Bank trying to get information about some “mysterious” locked box in the towns vault. 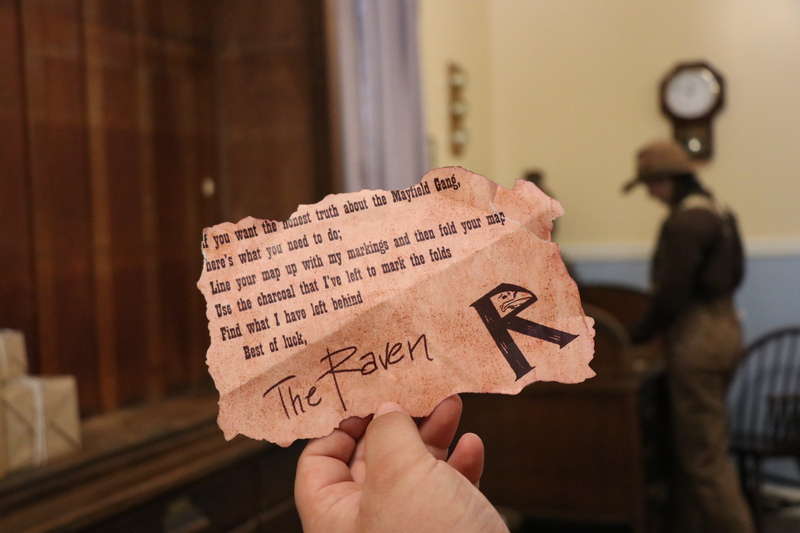 I was hot on the trail because of clues left behind by a person that went by the name, THE RAVEN! 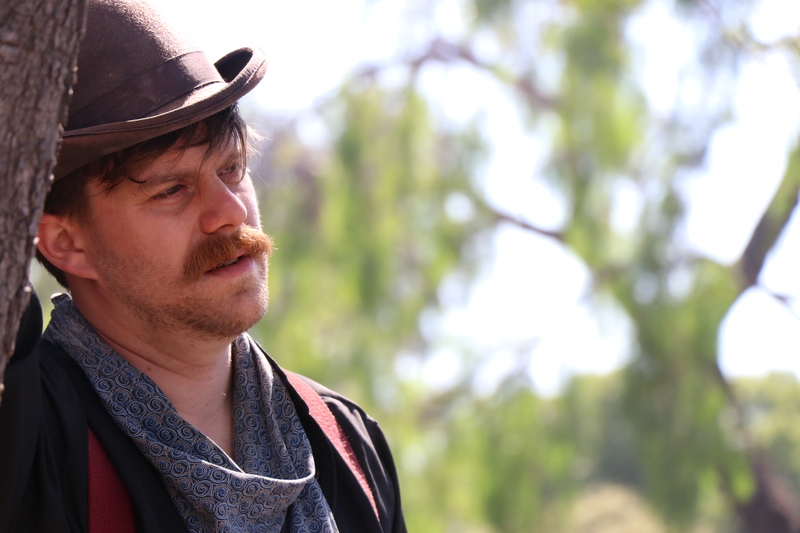 The actor who played the banker named Tate Fortuna talked me in circles! 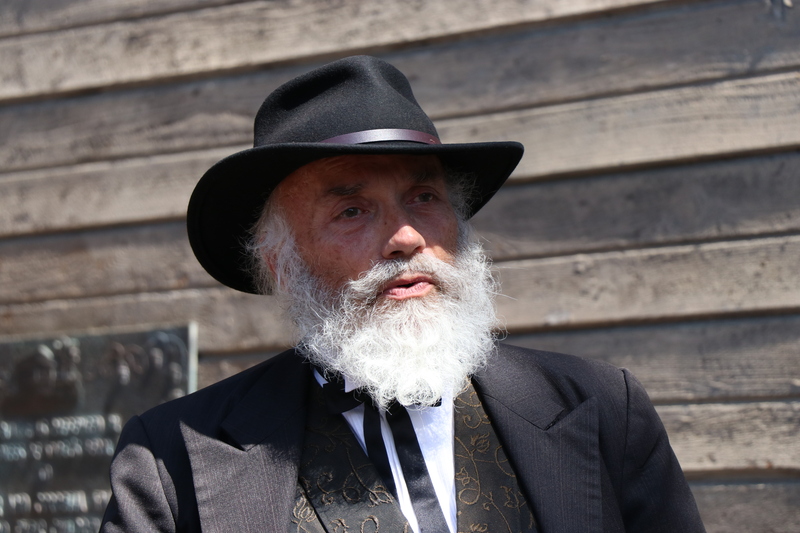 I gave up rather quickly because I could not keep up with his wit or speed. What I found very investing was everybody’s willingness to follow and listen to these characters. 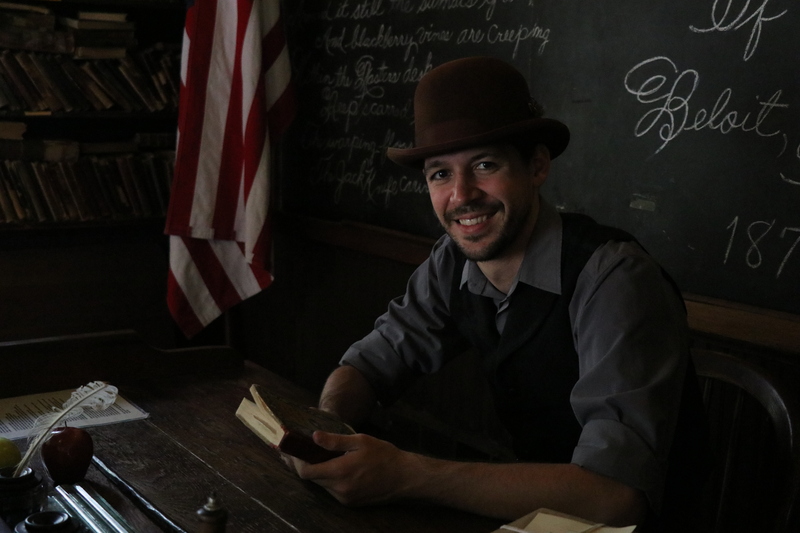 People unfamiliar with the intricacies of interactive theater may be off put but I never ONCE found an instance were someone was either shy, quiet or showed little interest. Everyone was tuned in and focused. 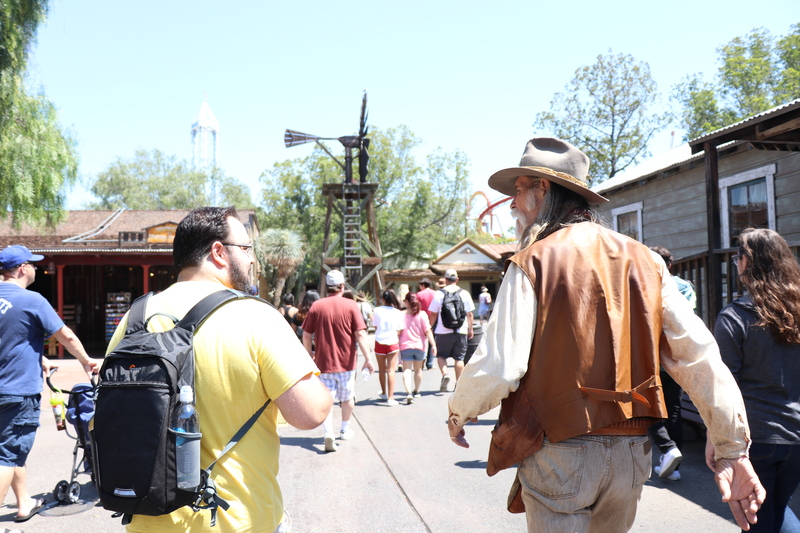 They followed characters as they were instructed too and the group grew as we made our way from one location to another. I guess it’s human nature to want to be involved. 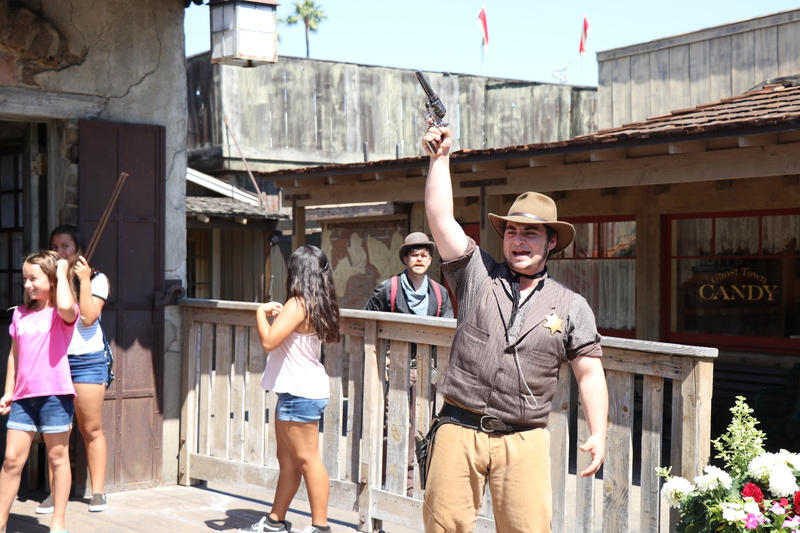 This inevitably leads to large groups of people yelling and screaming about bandits, cowboys and hangings! 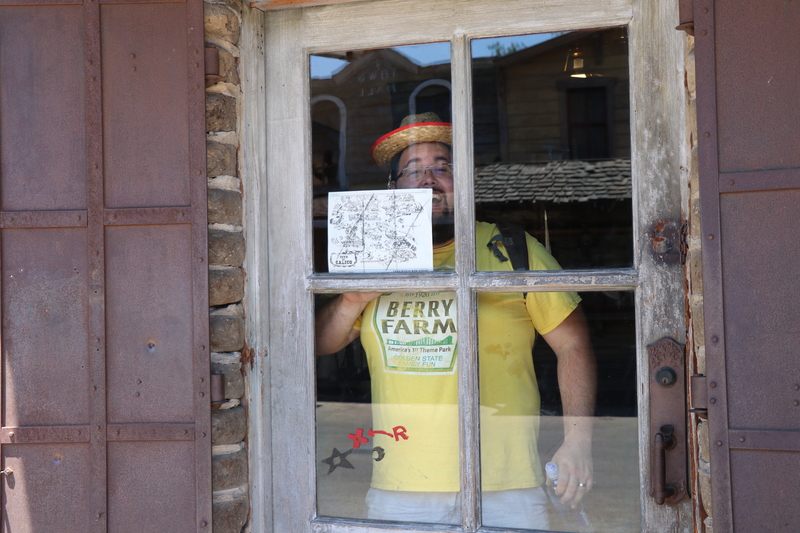 What I found extremely smart was the involvement of existing Knott’s history with the story. 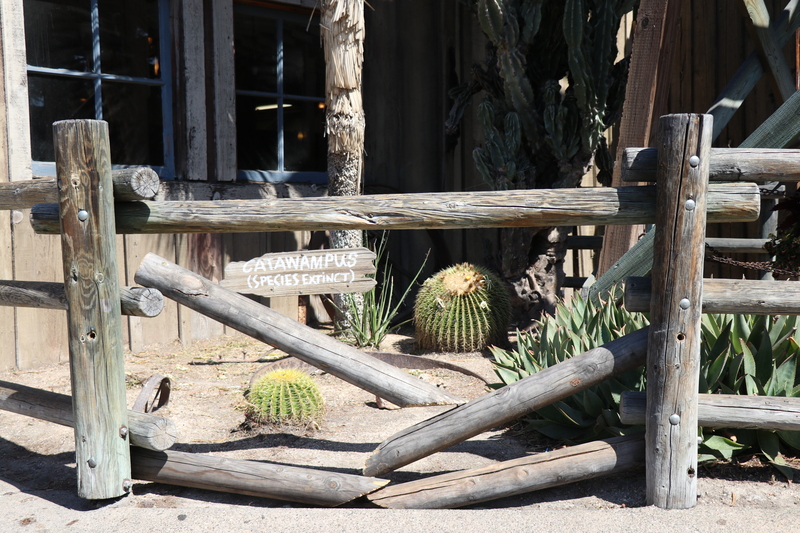 In one instance, we noticed the famous Catawampus was missing from his location near the Liverly Stable! 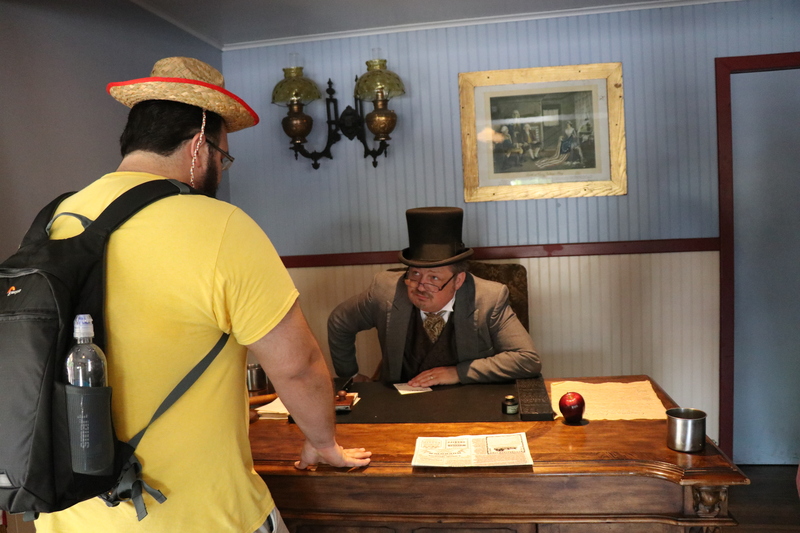 We spoke to many townspeople and they all informed us of the Catawampus Curse! I have said many times on our show, Paint the Night Parade at Disneyland was the first time in a long time that I felt like I was a kid again. That has all changed with GTA, I felt like a kid playing cowboys with my friends in my front yard. But this time, it was almost real. 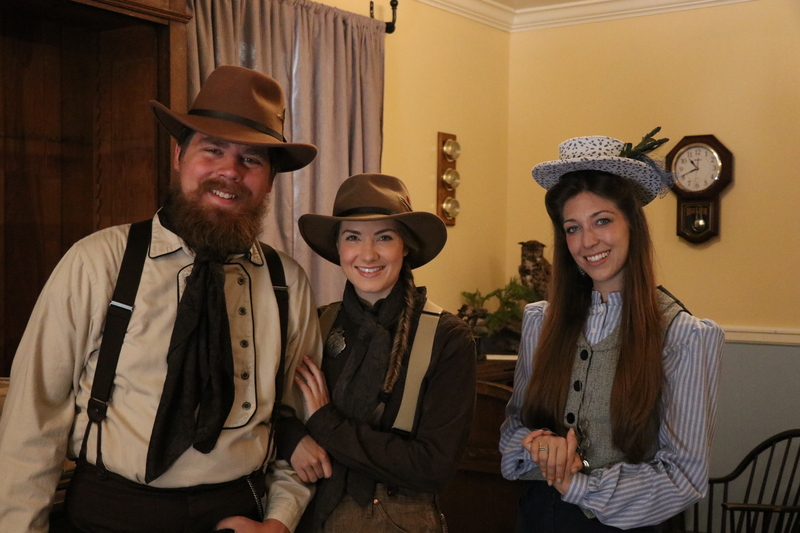 Everyone was loving the event! 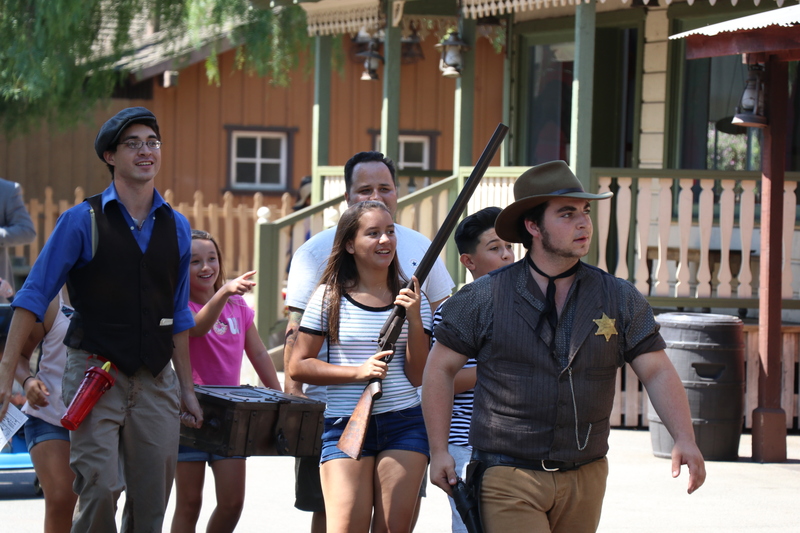 From kids to adults, there is something for everyone at Knott’s for GTA! 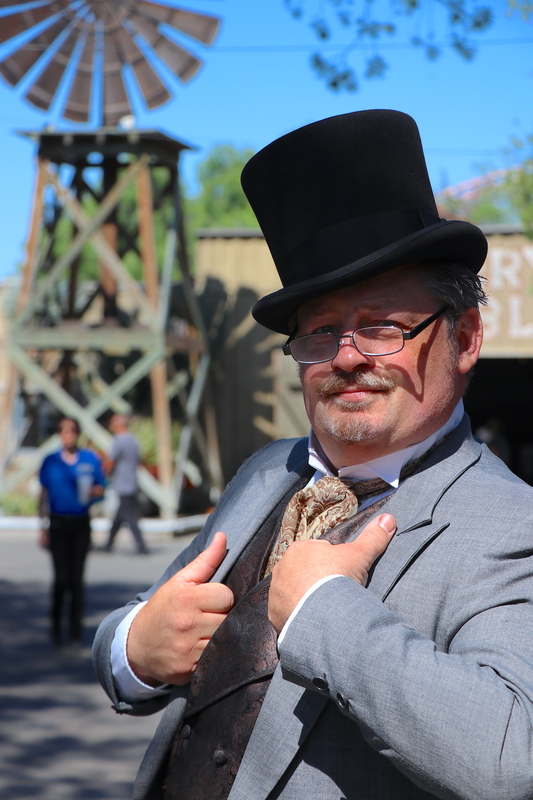 I applaud the team at Knott’s that was able to come up with such a rich, full, interesting and most of all FUN event for the masses. I truly look forward to the future of GTA and too see where the story takes us. 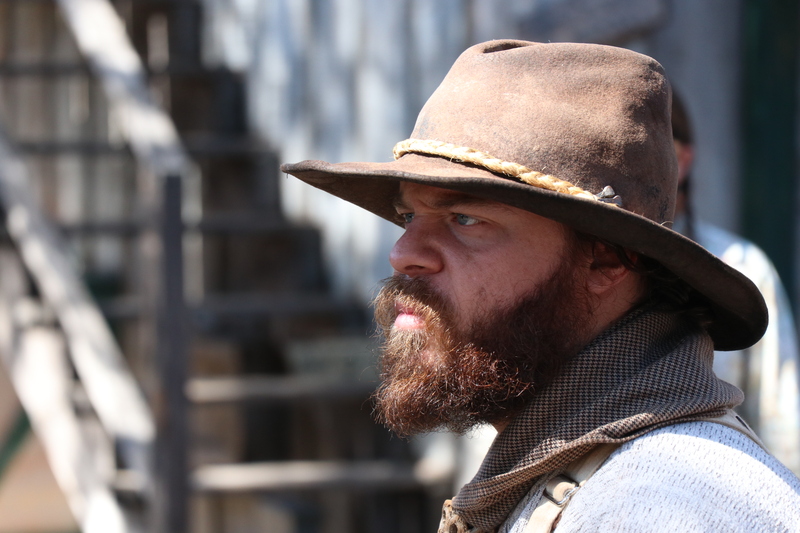 What will happen to the Mayfield Gang? 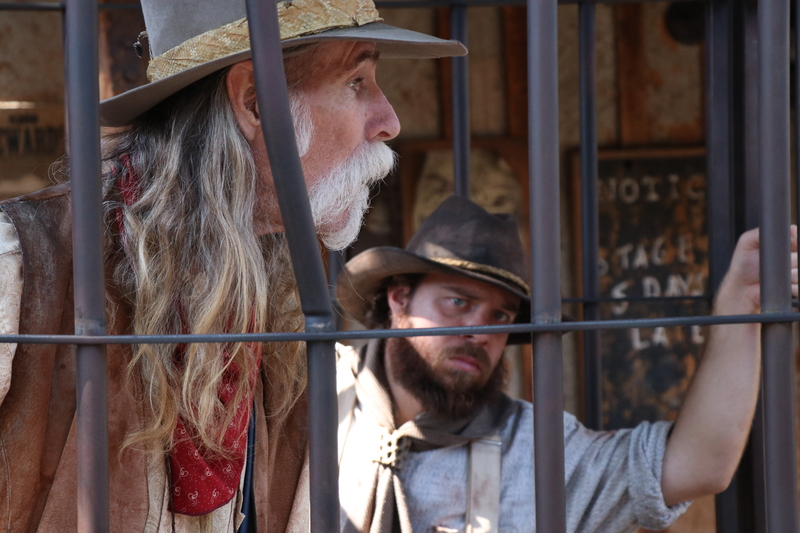 Will they succeed in robbing the Calico Bank? 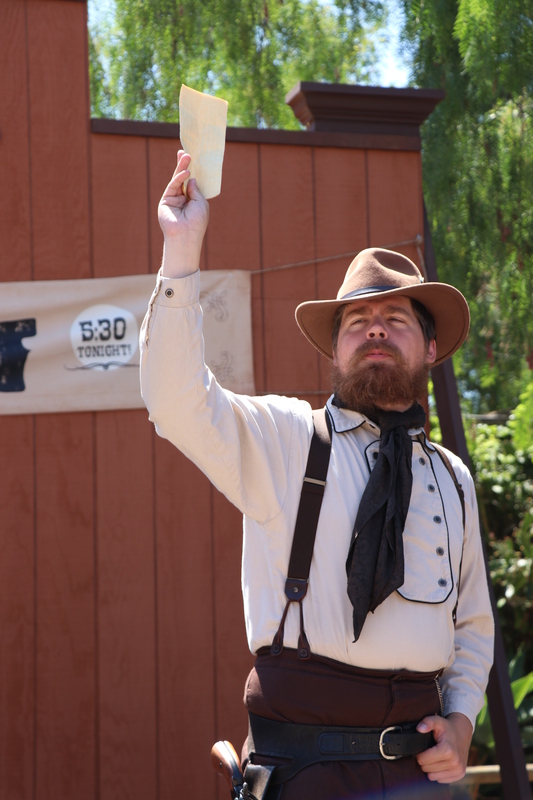 Or will the Catawampus make its triumphant return to Calico? 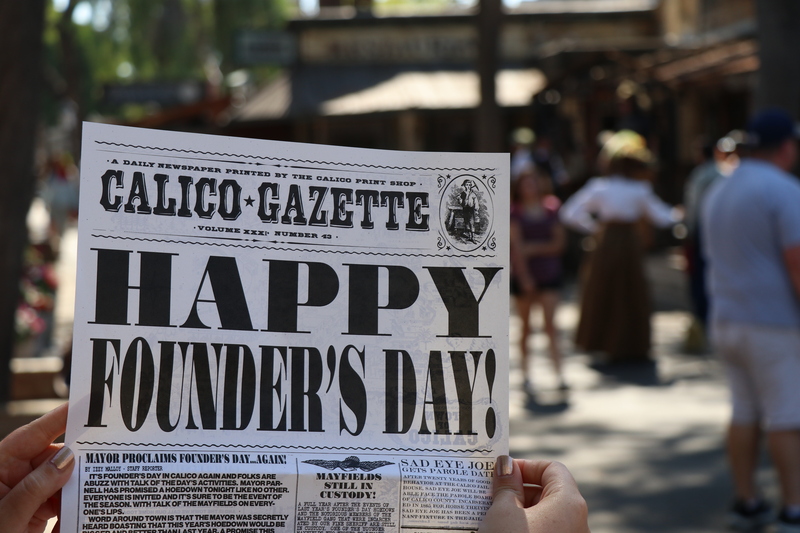 We will just have to wait and see…or go back to Knott’s this weekend to find out! Below in the photo gallery you can find a few construction photos for the new restaurant opening on the Boardwalk!